Just in time for 2019 NAMM, Korg has some exciting products for you, and we at B&H are happy to carry them. First and foremost, we've got the MILOGUE XD, a culmination of the MINLOGUE, MONOLOGUE, and PROLOGUE in one budget-friendly model. This is a 4-voice polyphonic analog synth, with 2 analog VCOs and a digital Multi-Engine. Poly, Unison, Chord, and ARP/LATCH modes are available, as is a 16-step polyphonic sequencer with step, real-time, and motion recording. Tons of modulation, delay, and reverb effects can help you shape your tone, which you can store into 300 user presets. It has 37 velocity-sensitive slim keys, a damper pedal jack, and stereo outputs. 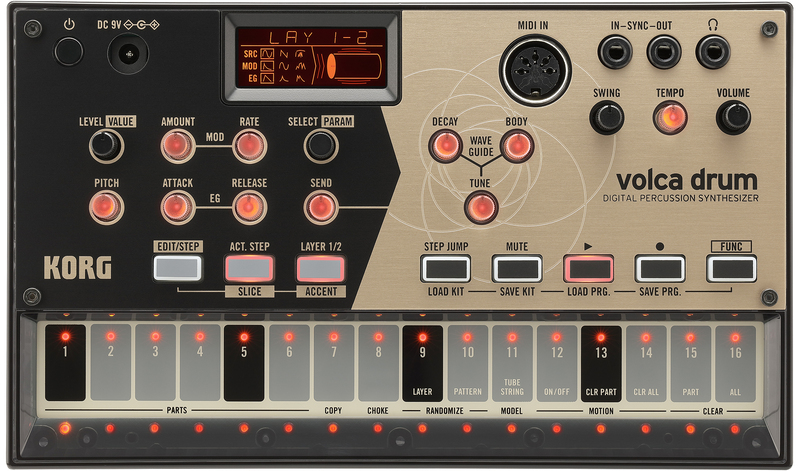 Let's check out the Volca Drum next. This synth centers on creating percussion sounds and patterns that defy the usual conventions. It sports a physical modeling-based engine to give you dual-layer drum parts, as well as 16-step sequencing that lends itself to improvisation. Check out its effect section, replete with a waveguide resonator that adds sympathetic resonances to the sound; use this to give your drum sounds a feeling of real-world weight! 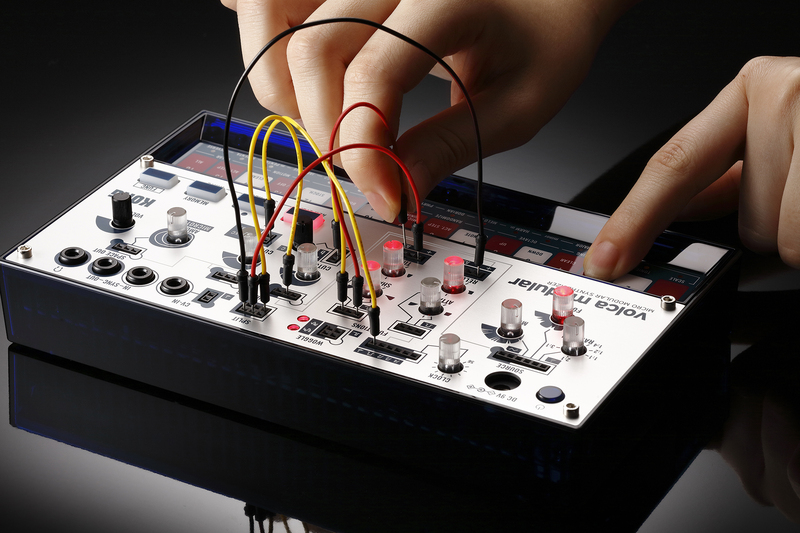 In addition to the Volca Drum, the Volca Modular is an instrument with analog modules for West-Coast-Style synthesis. It consists of eight discrete analog synth modules, digital effects and, of course, a sequencer to tie it all together. Though the unit sports internal wiring, all of that can go out the window as you forge your own connections! Simply connect modules with the included cables to bypass the internal routing—you'll have access to a panoply of possible combinations for experimentation. On this synth, all the modules are compatible with each other, so you can really go crazy-go-nuts in your own mad laboratory of synthesis! Also of interest are new updates to the KROME series. Shipping in 61-, 73-, and 88-key models, the KROME EX constitutes a major shot in the arm to the popular workstation, giving you new programs and PCM data. Updated acoustic piano programs, electric pianos designed to sound like classics, drum sounds with fine-tune resonance controls—all of this is available, and more! Its high-PCM capacity makes sure you're able to play sounds that feel ever more real and clear. These models have been revved up with dual polyphonic arpeggiators, a sequencer, and new functions designed to make on-the-spot production a pleasure. The smaller versions sport semi-weighted keys, while the 88-key model gives you KORG's Natural Weighted Hammer Action for an eminently realistic experience. The large touch screen is a nice bonus, as well. 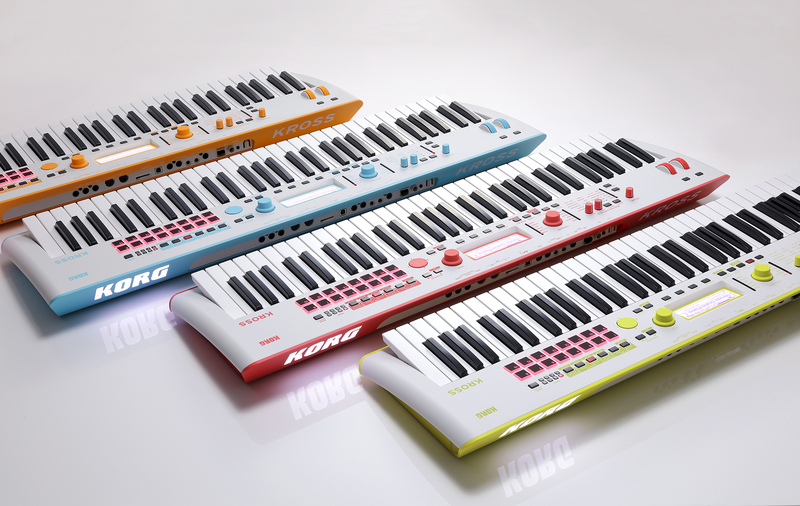 Last but not least, we've got the 61-key KROSS in new limited-edition colors, including gray/neon-blue, gray/neon-green, gray/neon-orange, and gray/neon-red. Come on by our SuperStore or check us out online to see one today!